When you travel to or from Manchester, it is a good idea to make everything as easy on yourself as possible. From the quickest way to book your flight to the most efficient way to get from the airport to your hotel, it is all about making life simple. The simpler the process, the less that can go wrong. That is why you should consider booking Manchester airport parking in advance, and make one more step in the process easy and worry free. There are a dozen airport parking services near Manchester International Airport (MAN) where you can book a space to leave your car while you are on holiday. Makes sense to compare prices, right? 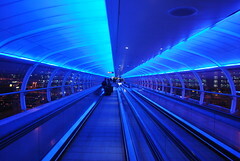 Manchester Airport is roughly 10 miles from Manchester city center on the M56. The airport serves as a hub for British Airways, bmi and MyTravel. Aside from London’s busy airports, Manchester boasts the busiest airport in England. There are plenty of shopping and dining options for you inside the airport to help you while away your time waiting for a plane, and they are thoughtfully located on both sides of the security check points. For traffic information, see the BBC website. Why Do Online Airport Parking? Booking easy airport parking in advance is one simple way to eliminate travel worries. When you know exactly where to drop off your car – and at exactly what time – you do not need to leave your house an extra 30 minutes early to give yourself time to circle the parking lot. By choosing a specific lot in which to leave your car, you can decide what kinds of features you want well in advance and do a cost comparison in the comfort of your own home – you will not have to make any uninformed on-the-spot decisions. And best of all, the whole process is so easy that you will be able to get back to what you were doing quickly, having checked another important item off your to-do list.